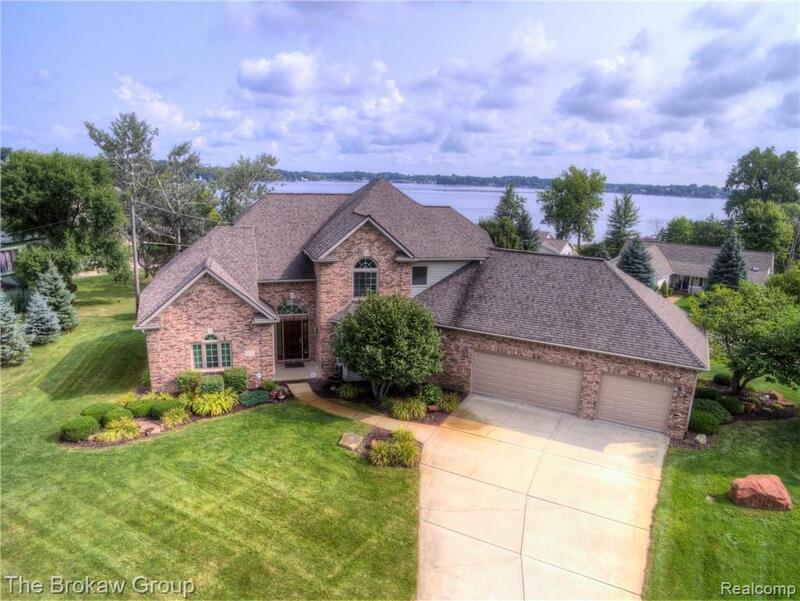 Stunning Dream Home Nestled between 2 Lakes with Total Access to Both ~ Fabulous Water Views Throughout, Upgrades Everywhere, Deluxe Lake Living! Family Living Ready! Impressive Entry and Cathedral Ceiling with Fire-lit Living-room Overlooks Lake Nepessing! Family Dining Room/Dining Deck, Huge Fully Equipped Kitchen, Pantry, Island SS Appliances, features Full 1st Floor Laundry. 1st Floor Master Suite with all the amenities expected! Upstairs find 3 Large Bedrooms; Lake views, Skylight lit Bathroom. Highlights of Walkout Lower Level remodeled in 2018; Views, Rec/Family Room, Billiards Table included, Craft Room, Full Bath, Huge Storage /Shelving ready, Detroit Brick Paver Patio, More! Insulated 3 car attached heated garage, Additional 4 car Garage with Driveway. Superb Landscaping, mature trees, boulders, sprinklers. Ownership & use, docks, 2 lots accessing Long and Nepessing Lakes. Ask agent to forward Features Sheet with upgrades! A-10!